This is not a book about death. It's a book about life. We first meet Michel eleven days after the death of his son Lion. Lion was lost, suddenly, to a virulent strain of meningitis and it's left his father and entire family reeling. We join Michel on his personal journey through grief, but the twist that makes the journey truly remarkable, and tips this true story into fiction, is the fact that we see it all through Lion's eyes. In a stunningly original blurring of memoir and fiction, The Son tackles the very hardest of subjects in the most readable of ways. Michel Rostain resolutely ducks away from sentimentality and pathos, and tells his story instead with wit, wisdom and vitality. For this is not a book about death; it's a book about life. When, in the late seventies, minimalist and concep­tual approaches were dominant in art, the consis­tently figural and emphatically sculptural representa­tions of everyday subjects by Katharina Fritsch (* 1960), Jeff Koons (* 1955) und Charles Ray (* 1953) at­tracted a great deal of attention. Their striking stanc­es continue to have an influence on cultural visual memory. 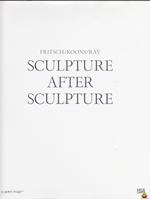 Sculpture After Sculpture: Fritsch, Koons, Ray traces the parallel developments in the creative work of the three sculptors. Beginning with key works from the late eighties and early nineties that throw light on their shared interest in the consumer world and the ready-made, the publication delineates their ar­tistic practice up to the present day. A direct compari­son highlights the surprising similarities and marked differences in their oeuvres, and reveals the artists compelling reasons for a decidedly contemporary art of sculpture. Europese steden kampen met vergelijkbare problemen. Europan, een samenwerkingsverband van gemiddeld twintig Europese landen, organiseert voor jonge professi nals om de twee jaar een prijsvraag op het gebied van architectuur en stedenbouw waarvoor gemeenten en opdrachtgevers een locatie beschikbaar stellen. 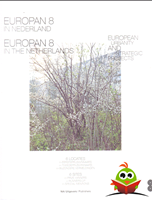 Met ingang van Europan 8 is het permanente overkoepelende thema van de internationale prijsvraag ‘European Urbanity’. Voor de zes Nederlandse locaties van Europan 8, die in dit boek uitgebreid worden gedocumenteerd, zonden 159 teams van architecten en stedenbouwkundigen uit heel Europa plannen in. De winnende inzendingen zijn voorzien van deskundig commentaar van de jury en uitvoerig ge ustreerd. In interviews lichten de eersteprijswinnaars hun idee toe. Daarnaast zijn de ontwerpen die de laatste ronde van de jurering haalden, maar ook de inzendingen die niet zover kwamen, in het boek terug te vinden. Ook aan de Nederlandse prijswinnaars op buitenlandse locaties wordt aandacht besteed. Verder zijn enkele essays opgenomen over onder meer Europan in Europees perspectief en over het thema van de prijsvraag. Op de bijgevoegde cd-rom zijn alle inzendingen voor de Nederlandse locaties verzameld. European towns and cities face similar problems. European, an alliance of some twenty European countries, organises a competition every two years for young professionals in the field of architecture and urban design for which municipalities and clients make a site available. Starting with Europan 8, the permanent and overall theme of the international competition is ”European Urbanity”. 159 teams of architects and urban designers from all over Europe submitted plans for the six Dutch sites of Europan 8. The winning entries are accompanied by expert comments from the jury and are fully illustrated. The prize-winners explain their ideas in interviews. 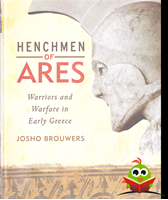 The designs that reached the last round of adjudication, but also the entries that did not get that far, are also included in the book, as well as reviews of Dutch winners on sites abroad. The publication also includes a number of essays on, among others, Europan in a European perspective and the theme of the competition. The enclosed CD-ROM is a collection of all the entries for the Dutch sites. A letter of the alphabet, a dress, a rock formation or an airplane — the diversity of forms that the new architecture can take is almost infinite. In Building as Ornament, Michiel van Raaij interviews ten leading architects and historians to trace back how this new architecture first emerged in the early 1990s and how it has matured over the start of the present century. A new generation of architects regards the design of the scaled-up ornament as an intrinsic part of their practice. What are their motiva-tions? How do they place their ideas in the tradition of their old profes-sion? Michiel van Raaij argues that the new ornament allows architects to design ever more eloquent buildings, but that this new practice is also bound by certain rules. A successful ornament represents a virtue and explains the function, social status, load-bearing structure, organi-zation and/or context of the building. Michiel van Raaij is editor-in-chief of Architectenweb, a leading archi-tecture platform in the Netherlands. Includes interviews with Auke van der Woud, Denise Scott Brown, Charles Jencks, Adriaan Geuze, Michiel Riedijk, Alejandro Zaero-Polo, Ben van Berkel, Steven Holl, Winy Maas and Bjarke Ingels.